15.7 inch strand. The antique style round beads are finely carved by hand and are made of Henan jade in China. 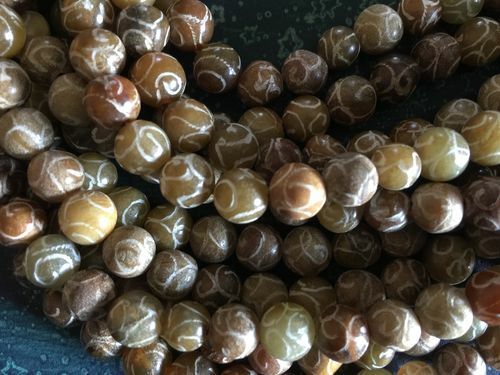 The beads are approximately 10mm with a 1mm hole. Very good quality. 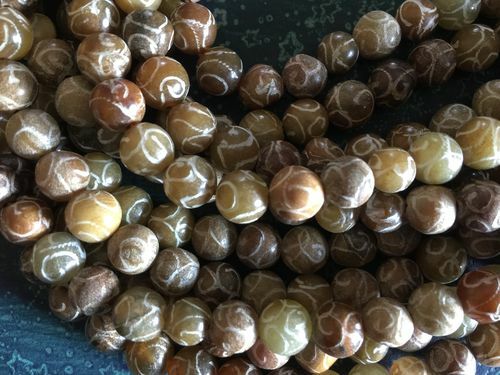 There are approximately 38 beads per strand. Colors are soft earthtones.